Sony's PlayStation Classic will offer gamers a library of twenty classic PS1 games when it comes out on December 3, but you won't need to change discs to play them: just like with the NES and SNES Classic, this micro-console is actually a tiny computer running emulation software. The latest gaming forum controversy pertains to the PlayStation Classic and the fact that it's running open source software named PCSX ReARMed, an emulator which was first conceived all the way back in 2000. I know some people aren't jazzed about the North American game list but there's some real good ones in there. 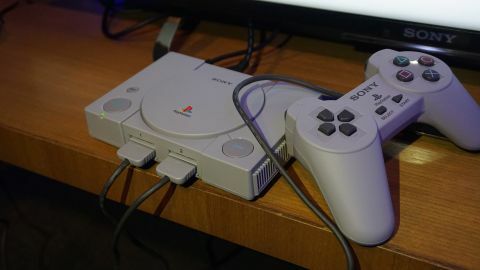 The discovery made by Kotaku came with a bit of irony that the software once used to run pirated copies of the PSONE was chosen by Sony itself to run the PlayStation Classic. Shuman noted that the directional pad felt more comfortable this time around, but the rest of the controller felt just like the original. Sony notes that the memory card management UI is practically identical to the original and that the system does include the iconic opening jingle. While the PlayStation Classic captures the aesthetics of the original system, right down to the eight small raised dots on the disc cover, some of the functions have been changed. The amusing bit though is that Nintendo allotted effort to develop its own emulator program to run on the NES and SNES classic retro consoles. All games have a 4:3 aspect ratio and run at 720p.